GoPro has been teasing a drone for several months. Now, we have a name – GoPro Karma. GoPro is trying hard to build the hype for its upcoming drone. Meanwhile, DJI is continuing to dominate and push the boundaries of the drone market as a whole by actually releasing major product after major product. The Game of Drones is just getting warmed up but, holy cow, DJI has a commanding lead over the rest of the field. The short teaser comes amid speculation that GoPro is ripe for acquisition by Apple. GoPro’s stock is down almost 70% for the year, trading at $18.83 at the end of the day. (We just saw the GoPro HERO4 Session’s price get slashed down to half of its original retail price from this summer’s launch.) However, the speculation of an Apple acquisition appears to have triggered a 12% spike in share prices yesterday and it is still riding high into after-hours today. Adding fuel to the fire, GoPro also announced an update for its App on the Apple Watch with quick access to GoPro camera controls. 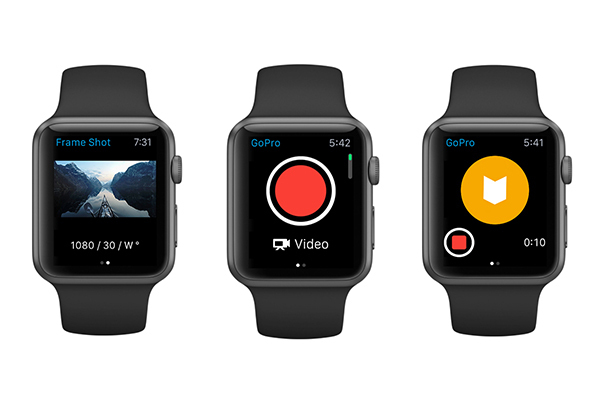 GoPro is excited to launch Apple Watch features for the GoPro mobile app, featuring a simple design that gives Apple Watch users quick access to the camera’s controls right from the wrist. The Apple Watch features allow users to preview their shot, toggle between capture modes, start/stop record and add HiLight Tags to the best moments of their videos. Also, the recently-introduced trim and share feature has been improved in the iPhone App using 5s, 15s or 30s clips for quick social sharing. 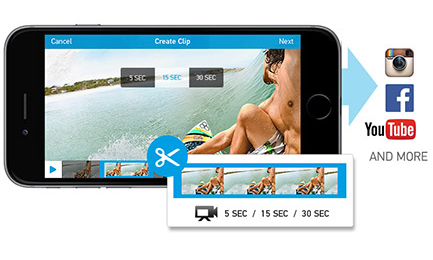 • Pull still images from videos: Quickly flip through a video frame-by-frame to find that epic moment and download a high-quality still image. • Find your media faster: Locate that awesome shot by filtering your media to display only photos, videos, Hi-Lights or clips. You can find the updated apps here in the App Store. The risk of being purchased by a big company like apple, may lead to 3 options. 1. Absorb a strong brand with a powerful product and take it to the next level. 2. Buy out the competition because it has a product you can´t develop, and buy purchasing the company get a hold on its technology.its customer data base, the brand equity and integrate it into a new product that merge both kind of users. 3. This last option would be the worst, buying out GoPro in order to kill it and get rid off an awkward competitor.